As the application of genomic science becomes more common in toxic tort litigation, savvy litigators are thinking about how statements about genetic findings may fit into legal categories or terms of art. In our view, non-scientists need to keep in mind that words used as terms of art for genetic findings are not necessarily equivalent to the meaning of the words when used by courts or lawyers, or when used in every day conversation. Many doctors, although medically proficient, are not familiar with genomics, so they often do not really understand the terms; keep in mind that most doctors went to medical school long before the last ten years created revolutionary changes in the understanding of genetic factors. We also suggest that courts and lawyers will need to learn more about terms of art and genomic science to issue opinions that use terms of art accurately and are helpful for the future. To better understand scientific findings that will need translation into legal settings and principles, it is helpful to consider a range of terms. In the following sections we describe typical use of some important terms and demonstrate how each may be used in toxic tort litigation. Keep in mind, however, that further nuances exist, and other terms also may be pertinent for a particular person. And, keep in mind that mutations in a particular gene can take on multiple different forms; they typically are not all the same and have very different impacts on disease. Genetic predisposition is one such term of art in genomic sciences. In general, the term “genetic predisposition” is used to refer to the presence or absence of a different than “normal” likelihood that an individual will develop a specific disease (e.g., cancer, birth defect, autoimmune disease) due to some part of the genetic mutations they inherit and have at birth.A genetic predisposition is inherited from the individual’s parents as gene variants that increase his or her likelihood of developing that disease, independent of other factors. Those other factors could be other genes, epigenetic factors, or other factors. An extreme example of genetic predisposition is cystic fibrosis. If an individual inherits specific genetic mutations from both parents, there is relatively absolute certainty that those genetic mutations will drive the development of cystic fibrosis independent of any other factor (this is known as 100% “penetrance,” a concept that will be discussed in future posts). Not all genetic predispositions lead to the certain development of a disease. For example, a woman who inherits certain defective BRCA1 or BRCA2 gene variants has a very high (45 – 65%) probability of developing breast cancer compared to the 12% probability of women without these variants, independent of other factors. As can be seen from these examples, the results of genetic studies can cut in different directions. On one hand, a plaintiff’s lawyer may use negative findings of a genetic study to argue that defendant’s product must have caused a disease. On the other hand, genetic findings may empower the defense to confidently point to specific, measurable genetic factors as the cause of a disease or condition, regardless of some past “exposure” to an alleged toxin. Genetic predisposition factors do not always guarantee development of a disease or condition (a “phenotype” in scientific jargon). As pointed out above, not everyone with a mutated BRCA1 or BRCA2 gene will develop cancer. However, most individuals who carry a mutated BRCA1 or BRCA2 gene are more likely to develop cancer than persons without those mutations. When certain gene variants and certain combinations are found to be present, the odds can rise fairly close to the point of certainty. In such situations, genetic predisposition findings can be a powerful tool for defense litigators to show alternative causation or sole proximate case (the issues may be framed using terms or standards). That power may arise because the findings may provide well-developed, science-based explanations as to how a given cancer occurred, regardless of an alleged or actual “toxic exposure.” On the other hand, if there are no genetic findings of variants associated with disease, plaintiff’s counsel may be in a better position to argue there is no reason to think a disease arose “spontaneously” (and therefore potentially more likely to be related to an environmental or occupational exposure). Another term of art that is often confused with predisposition is susceptibility, or its converse, resistance. When genetic analysis is undertaken, the findings may be said to show “genetic susceptibility” or “genetic resistance.” The terms refer to an increased or decreased likelihood that an external factor (e.g., exposure to a toxicant) caused an injury based on the findings about an individual’s genetic profile. This is usually associated with how the genes either repair themselves from certain exposures, or how the body metabolizes certain chemicals. For example, individuals with genetically determined lighter skin tones often also have variants that may be characterized as more susceptible to the adverse effects of UV radiation, which in turn, leads to an increased sunburn response. The opposite also may be true. The concepts are not simply abstract, and instead some genetic factors are known to increase or decrease the impact of a “toxin.” For example, some genetic factors alter whether or not intake of benzene is more or less likely to result in adverse health effects for a particular person. Specifically, certain individuals inherit specific genetic variants that increase the likelihood that benzene will be metabolized in a way that causes a variety of adverse health effects (i.e., headache, dizziness, drowsiness, and loss of consciousness following lower, acute exposures and acute myeloid leukemia (AML), anemia, or other blood disorders at higher, chronic exposures). If an individual with those genetic factors were to take in sufficient amounts of benzene, they would have a higher likelihood of developing AML and related blood disorders than someone without the susceptibility factors. Alternatively, many people can take in far more benzene and have not adverse effects because of a differing set of variants. It is important to highlight that genetic susceptibility to a toxicant is the exception rather than the rule. In contrast to genetic susceptibility, most individuals have genetic resistance (i.e., the ability through protective measures or repair mechanisms to keep the body from being harmed by toxicants). Therefore, genetically modulated responses to toxins are not limited to adverse outcomes (susceptibility). For example, some gene variants confer a neutral response (no allergy to gluten) and others can protect from the effects of exposure (HIV resistance). The important point is that in general, geneticists use the term “genetic susceptibility” or “genetic resistance” to refer to genetic findings that shed light on how they likely modulate a person’s risk after intake of a toxin. As a genetically modulated response, genetic susceptibility is one side of a coin that may potentially provide an advantage to plaintiffs in toxic tort litigation. However, the flip side can provide an advantage to defendants. That is, well-defined genetically determined neutral or protective responses to alleged toxicants can provide powerful arguments supporting the defense case that the toxicant was not involved in the injury. In a recent case, genetic analysis by ArrayXpress, Inc. resulted in objective evidence that the plaintiff had gene variants that are protective against benzene toxicity. These facts served to effectively rebut unsupported speculation that benzene caused plaintiff’s AML (which can be viewed as the opposite of a defendant speculating about a “spontaneous” cause). That case ultimately settled favorably for the defense, but of course the findings could have gone the other way. Ultimately, genetic analysis provided objective information that could benefit the defense or the plaintiffs (rather than speculation without relevant facts). The leading expert on genetics and tort law has repeatedly pointed out that a virtue of genetic analysis is that it can bring to the courtroom objective data that may undercut or eliminate speculation. See Gary E. Marchant, Genetic Data in Toxic Tort Litigation, The Brief (ABA), Winter 2016, 22-31; Gary E. Marchant, Genetic Data in Toxic Tort Litigation, 14 J. LAW & POLICY 7-37 (2006); Gary E. Marchant, Genetics and Toxic Torts, 31 Seton Hall Law Review 949 (2001) (available at SSRN: https://ssrn.com/abstract=1441498). Professor Marchant’s points are illustrated by our discussion above. 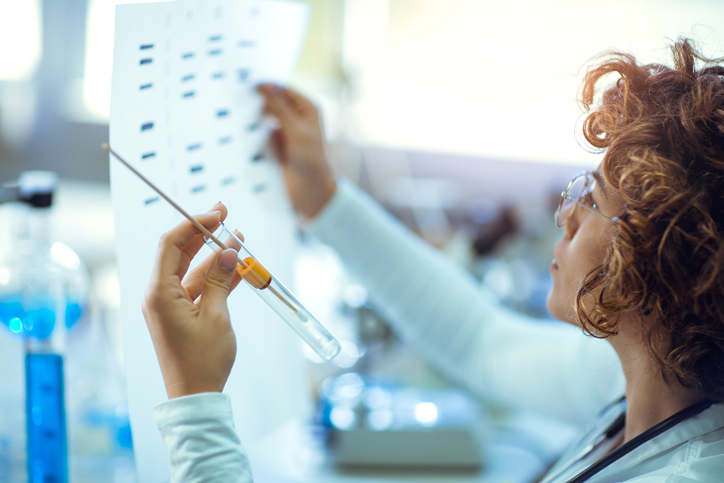 In some toxic tort cases, a defendant may seek genetic testing in the belief that the findings will show a genetic profile of a person destined to develop cancer regardless of intake of a known or alleged toxicant. For example, genetic analysis of the genome of a young person with cancer may reveal mutations in multiple genes known to play roles in the development of some cancers. In such a case, the experts and lawyers likely will argue using phrases such as genetic predisposition and penetrance. A plaintiff, on the other hand, may hope that the genetic findings will show a person who is completely or mainly “normal.” That person, for example, might have an adverse mutation in only one or two genes related to development of some cancers. In that sort of case the experts and lawyers may use a phrase such as increased susceptibility to the effects of a toxin. Either way, the point is that genetic testing can produce objective information that sheds real light on the causation issue. A further point is that testing more of the genes will produce more objective data, which should allow real experts in genetics to present more objective and nuanced opinions about causation. Ultimately, a broader point is that the relationship between an individual’s genetic makeup and its outward manifestation – i.e., whether the genetic profile conferred a disease predisposition or susceptibility or both – is complex and can be influenced by multiple factors. That information may be further explained by considering other evidence about the extent of the modulation wrought by a specific set of mutations. For example, experts may refer to studies in which researchers (1) created a strain of mice or other animals with a specific set of genetic mutations, and then (2) exposed some of the mice to some amount of a “toxin” but (3) kept some “control” mice in a toxin free environment. Studies of that sort may be referred to as “knock in” or “knock out” studies because specific mutations will be inserted into or kept out of the mice. On the one hand, animal studies with genetically altered mice may support the view that there may be only increased genetic susceptibility to the carcinogenic effects of a toxin. On the other hand, the studies may show that some of the genetically altered “control” mice developed cancer without any exposure to a toxin. Experts and lawyers could argue that outcome would show that the genetic mutations caused the cancer. Overall, genomic techniques can be used to provide objective evidence that real experts in genetics can use to assess whether an individual has mutations that are known to be highly adverse or 100% penetrant, or other variants considered to be predisposing variants, susceptibility variants, or resistant variants. No doubt various combinations will be found because all people share many genetic characteristics, but ultimately each person is unique to some degree or another. In turn, arguments in the courtroom will be guided by these genomic findings.